In 2002, Shannon Leone Fowler was swimming in the Gulf of Thailand with her fiancé, Sean, when Sean was stung by a highly venomous box jellyfish. Sean died almost instantly on the beach. He was 25 years old. 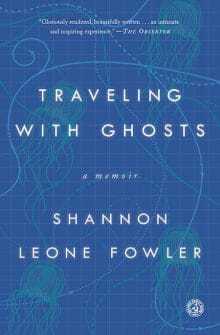 Traveling with Ghosts is Shannon’s memoir about the incident. She writes not only about the jellyfish sting and the Thai bureaucracy she faced in the aftermath, but also about two young travelers from Israel who swept in to help her, and about how travel in some unlikely places became her vehicle for emotional recovery. She went to Sarajevo, whose people in 2002 were still struggling with their own fresh losses from the Bosnian War, and to the Auschwitz concentration camp in Poland. She explored impoverished villages in rural Romania. She also went to Israel, as the country was being rocked by its worst political violence in years, to visit the two young women who had helped her in Thailand. Shannon Leone Fowler is our guest on this episode. She talks about her experience in Thailand and her travels that followed. She also discusses what we can do if we encounter a person in distress when traveling, and she shares a simple tip that could save your life if you plan to swim in tropical areas. 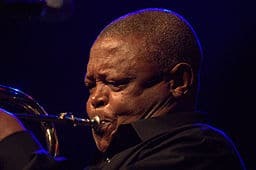 Also on this episode: A tribute to South African trumpeter, vocalist, and anti-Apartheid activist Hugh Masakela, who died last month at age 78. Shannon Leone Fowler is a writer, marine biologist, and single mother of three young children. She did her doctorate research on Australian sea lions. She has also taught marine ecology in the Bahamas and Galápagos, led a university course on killer whales in the San Juan Islands, spent seasons as the marine mammal biologist on ships in both the Arctic and Antarctic, taught graduate students field techniques while studying Weddell seals on the Ross Ice Shelf, and worked as a science writer at National Public Radio in Washington, DC. Originally from California, she currently lives in London. Today’s episode also honors South African jazz legend Hugh Masakela, who died on January 28, 2018, at age 78 after a battle with prostate cancer. His legacy will live on for a long time – not only through his music, but also in the political change his music helped inspire. Masakela sang and played a variety of brass instruments, including the trumpet and flugelhorn. He created a unique musical sound – a hybrid of contemporary jazz and South African pop music. He toured with another South African musical icon, Miriam Makeba (to whom he was also married for a couple of years in the 1960s), as well as Paul Simon. Dave Fox is a travel writer, a writing coach, and a personal development coach. In his personal coaching, he specializes in the challenges expats face when living overseas, and in helping people achieve their creative goals, become more productive, and attain greater self-confidence and happiness. Based in Vietnam, he offers his coaching services via Skype, FaceTime, and phone (and in person if you happen to be in Ho Chi Minh City). Learn more about Dave’s coaching services. Learn more about Dave’s online travel and writing courses.